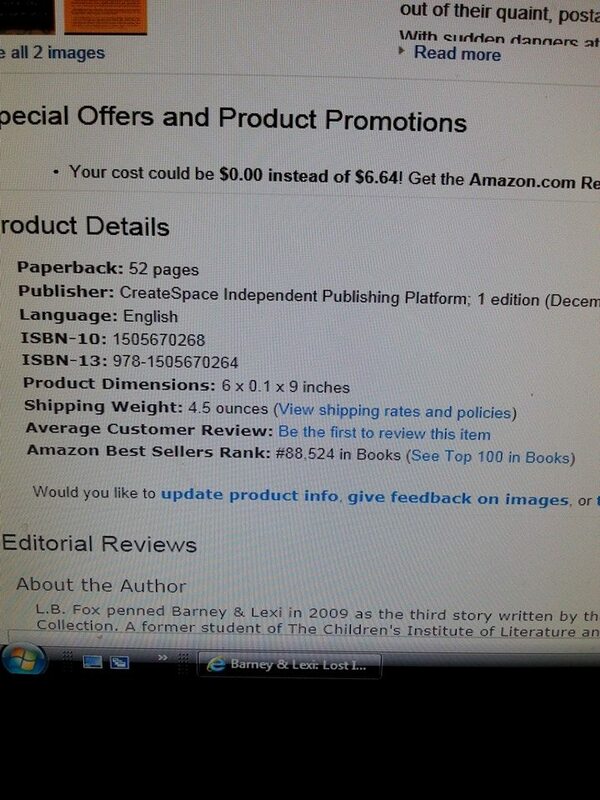 Barney & Lexi hit #88,524 on Amazon.com!! After an evening with family on Christmas Eve, I am reminded just how much I enjoy watching my children open their gifts first. To see their smiles and their excitement means more to me than any gift that could sit before me! It took two vehicles to bring all of their gifts home and now the front living room looks like a department store. In all I am reminded that I enjoy family on Christmas Eve just as much as Christmas! I came home to also find a wonderful gift! Amazon has ranked Barney & Lexi at #88,524! With that I want you to know that I will never stop praising you for helping me! I know Barney & Lexi can reach millions of homes across this nation and across the pond! Please help me make the two silly traveling pair as big as possible! Before I go for the night before Christmas I want to end our conversation with a different statement! Merry Christmas, Happy Hanukkah and Kwanzaa! ← Barney & Lexi Reach #106,094! !